Mountain View Nissan of Cleveland is your local new and used car dealership that provides professional sales, finance and service assistance. Many perks come from shopping here at our Nissan dealer in McDonald, TN, including a Lifetime Warranty on all our new vehicles, Nissan One To One Rewards, complimentary Wi-Fi and shuttle services for customers with a car in for maintenance work! And we do all that we can to give back to the communities we serve by supporting and sponsoring organizations like the Special Olympics®, March of Dimes® and Toys For Tots. 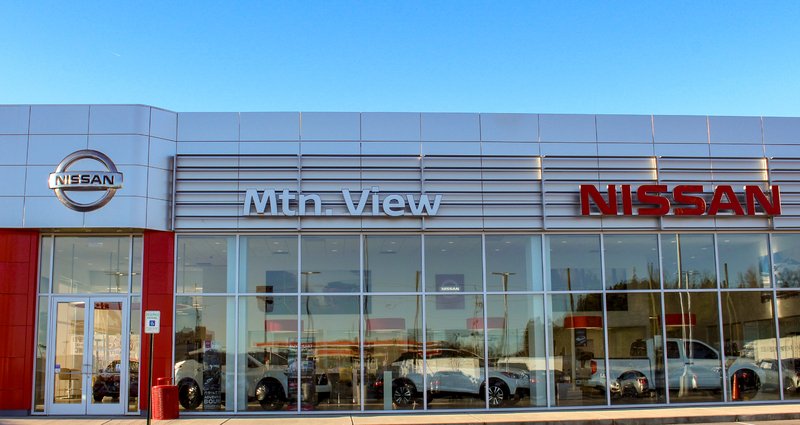 Shop at a new and used Nissan dealership that you can feel good about buying from, head to Mountain View Nissan of Cleveland today! Our professionals will not only help you secure the new Nissan Sentra you've been wanting, but we'll help you keep it running smoothly! We boast both an on-site service center and parts department; check out service specials, schedule an appointment or order genuine Nissan parts for an at-home Frontier repair. We're committed to helping your vehicle enjoy the long, healthy lifespan that it deserves and encourage our Chattanooga, TN neighbors to reach out to our car dealership with all their maintenance and part needs. While our reputable Nissan dealership is not open 24/7, our interactive website is! Shop our used Nissan Maxima inventory, learn about the loan assistance we offer for drivers with sub-prime credit scores or grab directions so you can visit us in the morning! Our Mountain View Nissan of Cleveland team looks forward to welcoming you to our convenient McDonald, Tennessee location soon.